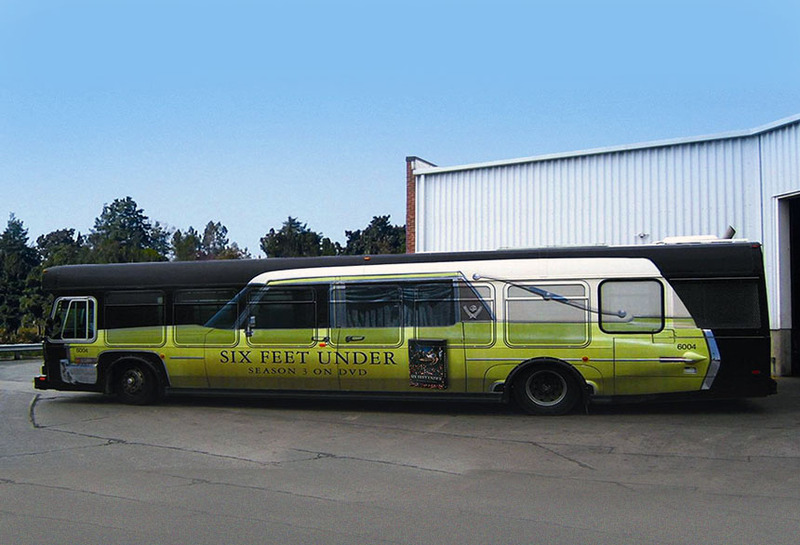 The ‘Six Feet Under’ TV series used Lamar transit to promote their DVD release. This full side display was unique and attention-grabbing. This creative blacked out the bus and painted a hearse to fit the shape of the bus, This was intended to give the illusion that the enormous hearse was moving through the community.